Def Leppard have announced dates for a spring tour of North America with Poison and Tesla. The three-month run will open in Manchester, NH on April 8, with shows wrapping up on June 25 in Indianapolis, IN. 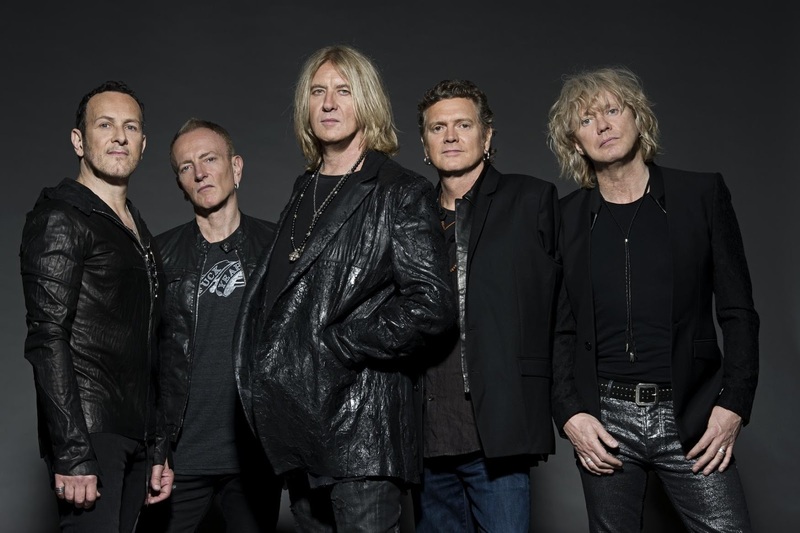 "We're thrilled to be able to take this tour to cities we didn't play in 2016,” says Def Leppard frontman Joe Elliott. “The demand for us to return, or rather extend the tour was phenomenal! There's a great buzz around the band right now and we're loving the fact that we can do this with the latest album being so well received." The trek will mark the first time in over five years that Poison will tour with all original members: vocalist Bret Michaels, guitarist C.C. DeVille, bassist Bobby Dall and drummer Rikki Rockett. "I could not be more excited,” says Michaels. “I know all of us will give one thousand percent on stage and we are looking forward to performing our hits together. I personally could not be more thankful for the three generations of fans and I love the music of Def Leppard and Tesla. This will be an amazing night of rock and roll. Don't wait because god only knows." Tickets for the shows will go on sale on January 20 and January 21 at LiveNation.com - a full list of dates can be found below. Due February 10 via DVD+2CD, Blu-ray+2CD and Digital Video, the project captures the veteran UK band in concert at the DTE Energy Music Theatre in Clarkston, MI on their 2016 summer tour of North America.